Are you looking for a place to get a fantastic lunch or dinner? An establishment that hundreds of people rave about? A place that was featured on Food Network’s Diners, Drive-Ins and Dives and received glowing reviews from the famous host, Guy Fieri? Come visit Paradise Pup, located just a mile from Lexington Park at 1724 S. River Rd in Des Plaines. Vicky and Mary visited not once, but twice last week! 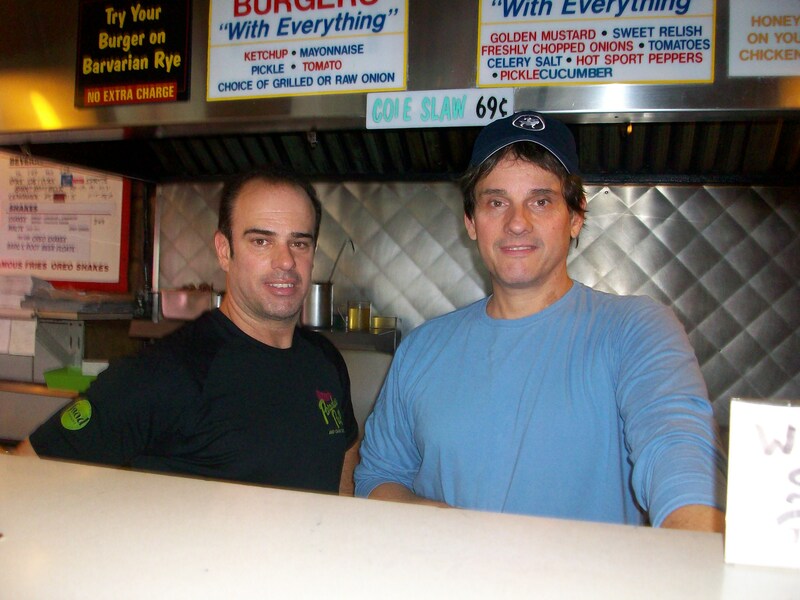 They met the friendly owners, brothers Tony and George, and shared their secrets as to why their restaurant has been a smashing success since 1982! Their secret is the fresh ingredients they use. Whether you choose a grilled chicken, beef sandwich, polish sausage, char dog or their famous char grilled cheese burger, you can’t go wrong! They also serve their legendary Three-Layer Fries… which are amazing! Stop by the Paradise Pup for a truly delicious lunch and let Tony and George know that Lexington Park sent you. You won’t be disappointed!